Gnossos & the Masochistic Microbus | Following the weird, obscure, and irrelevant in a feeble attempt to be unique since 1989. Read to me, baby. Put a little something in my head. Just ran across this amazing article, “How Facebook Is Altering Your Mind.” Ironically enough, I would not have discovered it if it weren’t for Facebook. I shared and liked it on Facebook. It seems the almighty, omnipotent “Facecrack” has become the Wal-Mart of the interwebz. So powerful, it absolutely demolishes anything in its path. So addicting, it could arguably be considered an actual drug. And why not call it a literal drug? Seeking constant gratification from your FB Newsfeed has been scientifically shown to affect dopamine levels. The article implies that Facebook picks up where television programming left off, ascending to power as the more modern choice of programming for this generation. Am I the only one a little frightened by the feeling that I can’t live without my Facebook profile? More and more, businesses are relying on Facebook to drum up profits. I myself work with my mother as a Social Media Marketing Assistant, utilizing Facebook for small businesses to gain brand awareness. But what does that mean for individuals? It means more advertisements, whether you consciously realize you’re absorbing them or not. If only it were possible to pay for an advertisement-free Facebook account. Of course that will never happen. Facebook has become probably the biggest resource for marketing in the world. So insidious is this medium, it is easy for us to forget we are being targeted by advertisements. If we really look at it, social networking is merely the tool used to lure people onto the site. You just feel like you HAVE to make a Facebook profile because everyone else is on it! You practically don’t exist without one! The trap is set and keeping up with friends is the cheese. What Facebook really wants you for is to shove products down your throat. It’s so easy to forget that every single time we log in, we are constantly being advertised to. This article discusses how much of the advertisements directed at us on Facebook are subconsciously consumed. Freaky. Today, humanity generates more information in 2 days than it did throughout all of history until the year 2003. With all those stupid cat pictures and petty status updates floating around, won’t future generations have a hard time discovering what was important to us today? Just a thought. This issue has been a big concern for me for awhile. A few years back, I wrote this article: Does society really need Twitter? I wish I had the will power to delete all these accounts. I just don’t. I still do hate Twitter, though. Equals chemical burn. For me, atleast. I tried it when I was 16. Horrible experience, the rash/burn.. whatever it was didn’t go away for about a week or more. That is all. As of September 22nd, 2009, all flavored and clove cigarettes will become a fond memory for those smokers with a more expensive taste. As part of the Food and Drug Administration’s new authority to stringently regulate tobacco products, they have imposed a ban on all but menthol flavored cigarettes. Claiming that flavored cigarettes are geared more towards underage smokers, the Administration is now considering regulations on menthol cigarettes and even flavored cigars. As an individual of legal smoking age who enjoys a Black on occasion, this comes as an outrage. A quick perusal of the FDA’s flimsy research polls and somewhat vague explanations begs the question, “What’s next?” We all remember how prohibition worked out. Am I the only one who feels like the government is overstepping its bounds and being a touch too parental in this situation? The only way to completely stop underage smoking is to ban all tobacco products, plain and simple. Is that the next step? We all know the health risks of the products we choose to consume, whether it be tobacco or alcohol or even caffeine. We can read the warning labels. I feel the FDA has insulted the intelligence of the American people. A few days ago I made a trip to the local tobacco shop to grab a couple packs before the ban. The owner told me he’d gotten a letter stating that the cigarettes would be considered contraband from the 22nd on. The FDA’s website warns that anyone caught with cloves can be subject to seizure, fines, etc. Distributors who fail to comply with the ban will receive a Warning Letter before the “FDA may take enforcement action to protect the public health,” (see their FAQ on Flavored Tobacco). Personally, I don’t need the government to protect my health. Djarums are still available online, much cheaper than they were in the shops. Many of the websites are questionable, but hopefully it will still be possible to ship from overseas without being scammed, (or caught). 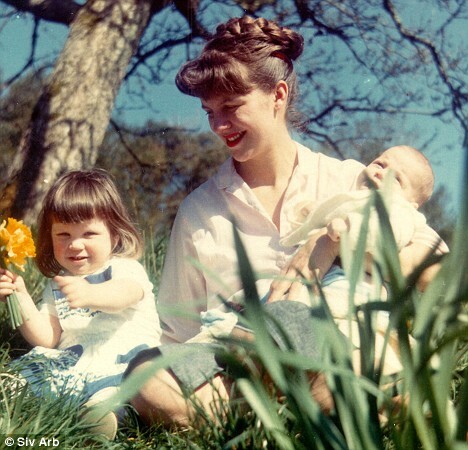 February 11, 1963 – Sylvia Plath Hughes kills herself during London’s coldest winter in a century. Nicholas, just a baby, and Frieda, age 3, were asleep in the next room. Sylvia made sure they had milk at their bedsides before taking sleeping pills, sealing up the kitchen doors, turning on the stove, and gassing herself to death. It must also be noted that the Hughes-Plath children’s step mother, Assia Wevill, also gassed herself in 1969, when Nicholas was 7 and Frieda was 9. Two mothers killing themselves the exact same way would be too much for many of us to handle. Perhaps Ted Hughes had this effect on women? Today, she is a successful writer, like her mother. Will she too become victim to her family’s plague of suicidal depression? Probably not. 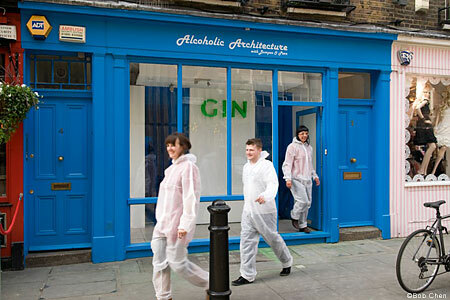 Alcoholic Architecture is far from your average London bar. Tickets for a “breathable cocktail” of gin and tonic mist are timed by the hour and can be purchased at the door. 40 minutes inside the building created to give the illusion of being INSIDE a drink will leave one a little giddy. No doubt the gigantic straws, limes, and background sound of a drink being poured over ice will make one feel slightly disoriented. The unique attraction is only open ’till April 25th, so get a whiff while you can if you’re in the London area. This is an alcoholic’s dream realized by wacky innovators Bompas & Parr, whose culinary abnormalties have captured the attention of more than just the locals. These eccentric “jellymongers” are creating some very strange culinary commotion with their fine English jellies. Sit down to a mouth-watering feast comprised of nothing but jelly. Enhance your viewing experience with the smell of dusty books at the Scratch n Sniff Cinema. To further confuse the senses, Bompas & Parr have brought to light something that will make you question your own tongue: “flavour tripping”. Participants of the U.K.’s first public flavour tripping party ate freeze dried West African berries called Synsepalum Dulcificum that made “lemons taste like toffee and vinegar like sherry”. New York’s culinary and art scenes have been inspired by this, organizing similar events.